When it comes to our goals, the sky is the limit - innovints Webseite! INNOVINT has grown slowly and steadily, has leveled out its flight path and has learned to recognize approaching turbulence. 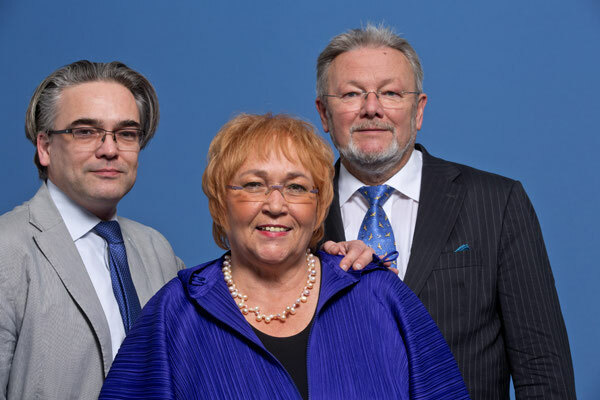 When the founders Uwe Gröning and his wife Ursula started INNOVINT over 40 years ago, the company built cabin equipment in a garage as a subcontractor. The former garage shop continued to expand to become what it is today: a superb 2000 sq. meter plant in Hamburg-Wandsbek where 40 specialists work hand in hand. The climb flight of the company was made possible by the constant expansion of competence by the family operation and by securing certification by aviation authorities. INNOVINT is now certified for maintenance, production and development of products for the highly demanding field of aeronautics. 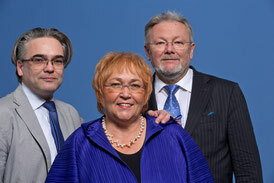 Manfred Gröning, the son of the founders has been the managing partner since 2003 and is leading the company into the next century of civil passenger air transportation. Airframe manufacturers such as Airbus and Boeing award contracts to INNOVINT, just as well as the majority of airlines around the world. Just take a look at our customer reference list to see what we mean. INNOVINT has representatives all over the world from China to Latin America. Regionally, INNOVINT plays in important role in the aviation cluster of Northern Germany. As a founding member of the association HANSE AEROSPACE e.V., we have immediate access to an extensive network within the aviation industry.